Do 17.8.2015 bude v Galerii u Zlatého kohouta, Michalská 3, Praha 1, přístupná skupinová výstava Mirror of motherland čtyř íránských a dvou kazašských umělkyň. 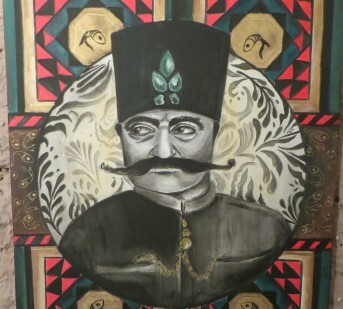 The exhibition Mirror of motherland presents you the artwork of 4 Iranian and 2 Kazakh female artists living in Europe. The purpose of it is to mediate the picture of what their homeland is like in their own eyes. It’s a place that they had left but never abandoned it in their souls. The various artworks represent the feelings and memories of the artists that they express in regards to their motherlands. The meanings depicted in the art will offer the European public a view into an unknown world through symbols, craftworks, paintings or jewelry. 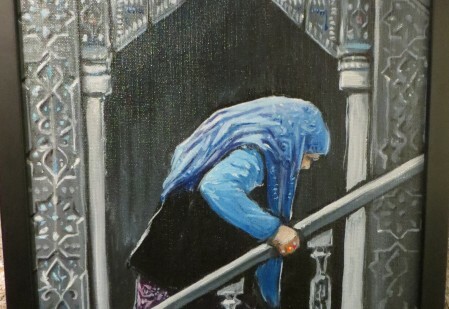 This cultural mélange sends also an important message of the strong place of art amongst women in Middle East and Central Asia which often gets unnoticed.